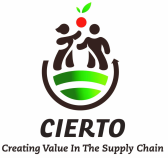 CIERTO is a nonprofit organization that works to ensure the safe, fair, and transparent recruitment of farmworkers. They are a trustworthy alternative to potentially dubious labor contractors and the forced labor traps and even human trafficking that can sometimes go with them. CIERTO also prepares and trains farmworkers for work on socially responsible farms, and helps bring them to the U.S. for temporary work through the H2A program.